Photo from July 4, 2013, parade. 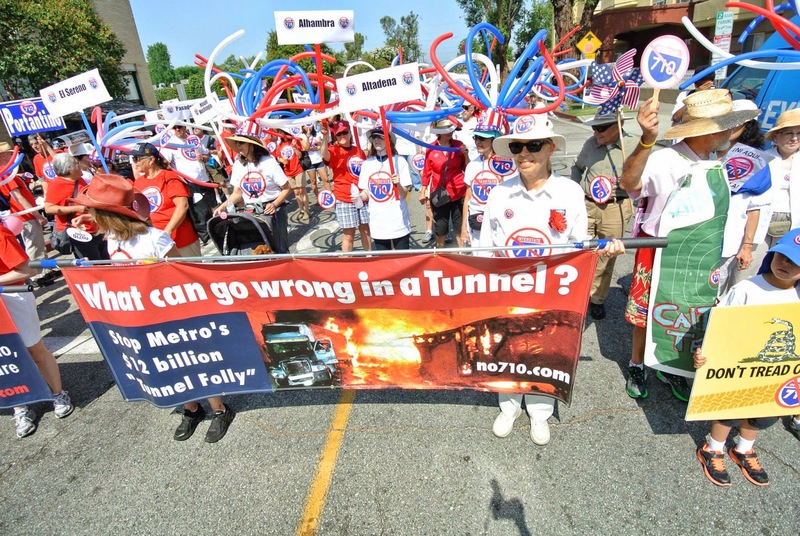 Come join us to march against the 710 Tunnel. Show that more than South Pasadena does not want a Freeway or a Tunnel. The route is less than one mile. Meet us at 10:00 am at Hope Street and Meridian Ave in South Pasadena. Wear No 710 T-shirts or red. All props will be provided such as balloon hats, signs, etc. Bring your family, kids, neighbors, & friends. No 710 T-shirts are available for $8. email No710store@gmail.com or call 626-354-4340.